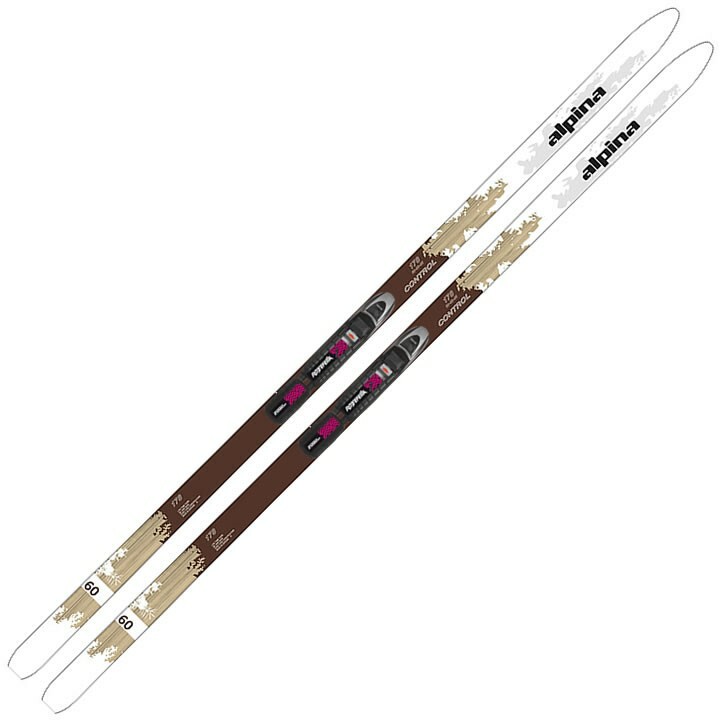 The Alpina Control 60 Nordic Touring Ski with NNN Auto Binding offers stability and control for the recreational touring skier. Designed with a Lite Air core construction and waxless base, the Control 60 is ideal for long days of exploring wherever your adventure leads you. Lite Air: Special air channels in the lightweight wood core reduce weight even more than Air Channel construction. Early Rise: Ski tips begin their curve upward a little further back, which makes for perfect gliding on unprepared terrain and enables lighter turning with less effort. BC Grip: All terrain climbing system specially developed for use off track and the most demanding terrain and conditions. Does the ski have metal edges? No, this ski does not have a metal edge.